The Prankster can confirm that Nicola Mullany, chair of ISPA resigned with immediate effect on Friday 16 September 2016. The Prankster wishes Ms Mullany all the best. We have not always seen eye to eye, but this is to be expected. The Prankster was impressed by the way ISPA was run and accepts that the environment was challenging. and suggests that everyone waits for the official announcement before concocting too many conspiracy theories, some of which already appear to have been aired on MoneySavingExpert. The British Parking Association has a long-standing debt to London Councils for running the POPLA service. The Prankster has now learnt that the BPA has settled around £511k of the debt, leaving around £200k still outstanding. It is not immediately apparent where this money was found from. The 2014/15 accounts showed there were reserves of around £936k at 31 March 2015, so it is likely the monies came from the reserves. The Prankster first predicted that the POPLA costs would cause the BPA serious financial problems in October 2013. However, it does not seem that this will be terminal for the BPA; only very painful. The BPA have avoided this problem with their new contract with the Consumer Ombudsman by going for a fixed price contract. However, this has caused a different kind of problem. The new POPLA has issued a large number of shoddy decisions cause by poorly trained assessors who have not properly considered the issues raised. The new assessors churn out template responses without apparently giving much thought to the particular circumstances of each appeal. The Prankster therefore considers the time has come for the Government to step in and run a fair and independent appeals service staffed by competent assessors who have enough time to properly asses and rule on each case. Does anyone have a copy of the parking tickets issued in this car park? Do they specify a time of exit? If so, does this relate to the time of entry to the car park, or the time of purchase of ticket? Eg, If you enter at 14:00, purchase a ticket for one hour at 14:05, does the ticket say you must leave by 15:00, or 15:05? Is the situation different if you pay for a top up ticket later on? Eg, if you buy a new ticket at 15:15 what does that ticket show? Update. I have a copy now, thanks. The tickets print the time of purchase. The Prankster is currently on holiday. Normal service will be resumed as soon as possible. 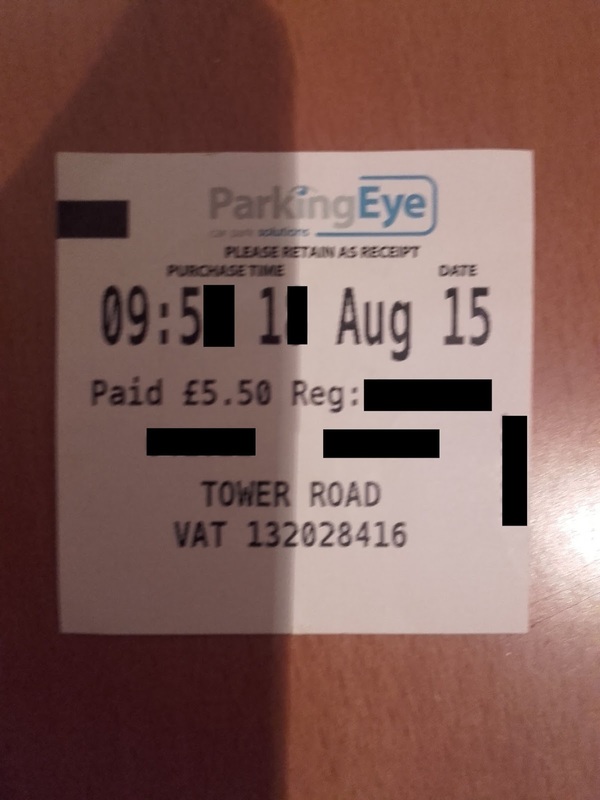 Do not read this blog if you expect it to be about parking. Readers may find the following disturbing. When the team arrived at this shelter the dogs were so hungry they were fighting each other to eat their own faeces. The team knew what to expect but this was still very harrowing to watch and affected the team deeply. Although food is provided there is not great understanding of animal behaviour so a few dominant dogs get all the food, while the weaker ones get little or nothing. The team are on site with the long term goal of improving education and welfare practices. However, the immediate needs were to source food for the dogs. Food was provided as quickly as possible in sufficient quantities that all the dogs could eat. Some of the dogs were so weak that although they were obviously starving they made no attempt to get food because they knew they would be attacked by the other dogs. These weaker dogs were removed and allowed to eat on their own. The dogs were triaged and dogs in immediate need were removed and taken to get medical care. Others will be removed tomorrow. It was difficult to leave them behind, but there is only so much the team can cope with at one time. Longer term the goal is to remove as many dogs as possible to other shelters so that the number of dogs in this shelter is manageable, to find homes for as many dogs as possible, and to educate and improve conditions. Today we came back to rescue more dogs. There was food left in the shelter which was a good sign. However the pens had not been cleaned out and were covered in faeces, and the dogs did not have any water. We watered the dogs (who were desperate) and took as many as we could cope with. Our local vet was busy today and could not see any extra dogs, so the dogs were housed in temporary shelters until they could be treated and introduced into the rescue shelter. Most of the dogs we took appeared to have shut down. They were just skin and bones. Despite that three puppies ignored the wet food we gave them - it turned out they did not know what it was. When they found out, it was devoured in a matter of seconds. By the end of the day there was a noticeable change. The dogs had started to come to life and were incredibly loving and desperate for affection, despite the terrible ordeal they had been through. Sadly there is one dog who may not make it through the night. She appears to have given up and is not taking food or water. She has been given medical treatment and loving support, which is all that can be done in the circumstances. Tomorrow we will return to the public shelter again and make sure the pens are clean and the dogs watered and fed. The local authorities are helping publicise the situation and we hope to be able to organise a rota of local people to visit the shelter on a regular basis to do this work. We also hope to reduce the dog numbers over time so that the food available is sufficient for their care. The local private rescue is now nearly full, but it achieves a good turnover of dogs for adoption so spaces will become free. Unexpected change. When we returned to the public shelter there was a massive improvement. The shelter is staffed on a rota and the man in charge today was much more on the ball. All the pens were clean, the dogs had plenty of water, and there was actually food left uneaten in the troughs. The dogs already seem happier, although this is obviously a relative term! This is a huge turnaround. The man was also much more compassionate in his handling of the dogs than the previous people we met. Back at the private shelter the poorly dog survived the night and looks to be getting stronger. The other rescued dogs were happy to see us return and were wagging their tails and pressing up against the bars for cuddles. The next steps are to complete their treatments, get them socialised, and then put them up for adoption. The shelter has a good turnaround of dogs and several are leaving this week for their new homes. The more recent arrivals will probably need a month or two to recover from their starvation and address any other medial problems before they are fit for adoption. The rest of the day was spent photographing and filming dogs so they could be put on the web site for adoption. We also visited a potential site for purchasing land for a permanent shelter (the current land is only rented). This would then become a site where people could come out for a holiday, spend some time helping with the dogs and other time exploring Romania. This would assist with the shelter becoming self-financing over the long term. 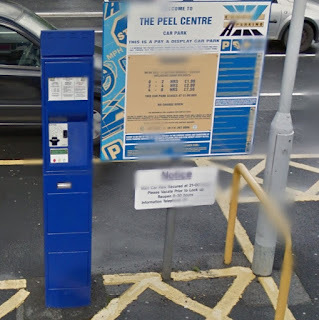 Mrs S. parked at the Peel Centre, paid the correct tariff, and the machine issued a ticket showing ‘QQ’ in the registration number field. The ‘witness statement’ from Mr Majid, of BW Legal, suggested that she had deliberately typed QQ into the machine – one of many ridiculous assertions. A witness statement is meant to be a statement of truth, with facts in the knowlege of the witness. It should not contain fatuous accurations made up by the witness with no basis in fact. Mr Madjid, who is apparently a tutor with the Open University, should surely know better. Mrs S. made a preliminary application for this statement to be excluded, but the DJ didn’t go with that. Mr Majid didn’t appear in person, but a freelance advocate turned up. Mrs S. had a defence prepared by Bargepole which relied on the fact that she had made reasonable endeavours to comply with the contractual terms, and if there was a malfunction between the P&D machine and Excel’s systems, she couldn’t be held liable for that. Mrs S. made the point that if the ANPR was linked to the P&D, it would be impossible for anything other than a valid registration number to be printed on the ticket. The judge took note and dismissed the claim. Excel have therefore been well and truly Gladstoned, with BW Legals costs at least £154, Mr Majids attempt at a witness statement an estimated £200-£300, the advocates fees another £200-£300, and court fees of £50. Only £100 of these charges would have been recoverable had they won, leaving Excel impressively out of pocket. The machines Excel use at the Peel Centre and elsewhere seem particularly prone to failure, and The Prankster's postbag has been inundated with complaints that charges have been issued even when a valid ticket has been purchased. Excel and the Peel Centre turn a blind eye to these failures, refusing to cancel charges even when CCTV evidence from nearby shops shows a ticket was purchased. The machines used by Excel have a number of known faults which cause these problems and The Prankster suggests that all such instances are robustly defended and that complaints are made to the Peel Centre, the IPC and the DVLA. Enticed to file a claim by a greedy or incompetent solicitor which has little or no prospect of hope. Receiving a cobbled together witness statement from your solicitor full of inaccuracies, half truths, misrepresentations of the truth and inaccuracies, which scupper your claim. Has a greedy or incompetent solicitor ever been persuaded to take out a court claim when you had no case? Did the solicitor do this in the full knowledge that if the claim went to a hearing, their legal costs would dwarf the amount awarded, leaving you hundreds of pounds out of pocket even if you won? Did the solicitor file a claim which did not comply with practice directions and was therefore likely to be thrown out? Come the hearing did the solicitor prepare a witness statement and evidence pack full of errors, inconsistencies, missing information, misrepresentations of the facts and half-truths? Did the judge throw out the claim, leaving you hundreds of pounds to the bad? If any of these have happened, then you've been Gladstoned! Link Parking were Gladstoned twice yesterday in Cardiff court for cases C1GF37H9 and B8GF3J9J. An independent observer reported that Martin Gardner, owner of Link parking turned out to argue his own case. Neither of the defendants turned up, for reasons unknown. Mr Gardner made a poor job according to the observer. The judge pulled up Mr Gardner on various pieces of missing information in his bundle. Mr Gardner asked to phone to get the information but this was declined. The cases were done and dusted in a few minutes. Come on down Mr Gardner - you've been Gladstoned! The Prankster does not recommend missing a court hearing. If you have not given 7 days warning to all parties and the court, the judge would be within their right to award the claim to the other party. The Prankster has heard of several cases where the judge also awarded extra costs not normally claimable, leaving the missing party £200-£300 worse off. However, the judge is also within their rights to hear the case on the papers. and The Prankster has heard of several cases where this has happened, when either claimant or defendant failed to show. Gladstones Solicitors are no doubt acquiring something of a reputation for incompetence in the courts and so the judge was well within their rights to pull their evidence to pieces. Hapless debt collection company MIL Collections, run by the incompetent Alan Davis have lost another two cases reported to the Prankster. 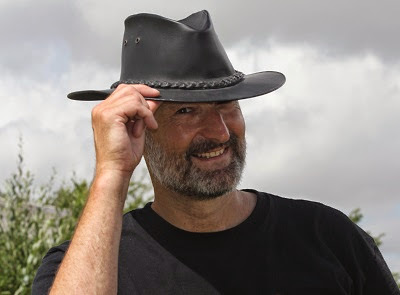 Alan Davies has a problem with telling the truth - The Prankster hesitates to use the word perjurous because Alan Davis always fails to turn up to defend the falsehoods in his witness statements. In the first Mr Wilkie emerged from the hills of Lancashire, to arrive for a 10am hearing at Lancaster County Court on 7/9/2016, defending MIL Collections v Mr S.
Mr S, a fine upstanding individual, apparently parked his BMW with a wheel sticking out, and North West Parking Enforcement consider this such a heinous crime as to require a £100 payment, reduced to £60 if paid within 14 days. NWPE is an IPC Company, and as a such offer the "Skippy" Appeals service, unlike the independent service offered by BPA members. The Skippy Appeals service is essentially a biased and/or institutionally corrupt kangaroo court which uses incompetent and/or biased assessors. Its assessments are at odds with the decisions of most judges and are therefore of no use to either the motorist and the parking company. At court today were Mr S, Mr Wilkie and Miss Peabody, a "solicitors agent" who was asked at the outset what her right of audience was. Although the judge was satisfying he then started laying into her due to the unreasonable conduct of her client. Unfortunately, the claim form wasn't siged by a real person, nor even the mythical Matt Murdoch/k, but by "MIL Colletions Ltd". As Miss Peabody couldn't explain why this was left to slide to the day of the court hearing, the judge dismissed the claim without even considering all of the issues, or Mr Wilkie having to actually say a word in defence of his client. After some discussions on unreasonable conduct, costs of £119 were awarded to Mr S.
The second case did not make it as far as court. DJ Anson sitting at Preston County Court ruled that the Gladstones-like particulars of claim were deficient and failing to meet CPR 16.4 and PD 16 paragraphs 7.3 - 7.5. He ordered MIL to file new particulars which they failed to do, and the court confirmed the claim will now be struck out. In a similar manner to the first case, the defendant also queried the signature on the claim form. Please can it be clarified that with reference to the above claim; MIL collections are allowed to issue a Particulars of Claim without a signed statement of truth. The Particulars of Claim in this case has been signed ‘MIL Collections’. This does not meet the requirements of the Civil Procedure Rules, which state that a claim issued by a limited company must include a statement of truth signed by a director or authorised officer (CPR r.22), thus suggesting this claim has been improperly issued. threshold of a Statutory Demand. Strangely, MIL Outsource Ltd is registered at the same address, and the Prankster wonders how long it will be before they start issuing proceedings, MIL Collections being entirely discredited in court. Happy to report that my case was heard this week (7th September) in Lancaster County Court and lasted about 3 minutes. An Agent did show up on behalf of MIL, although she kept referring to them as MLI (which was quite amusing!) She was clearly not well briefed and had no response when questioned by the judge about the first (of a long list) of legal anomalies. As soon as she could not answer, the Judge dismissed the case and we spent more time talking about expenses incurred that we did about the case. MIL are a hideous business with a hideous business model and I only pursued this case (with fantastic help and support from HO87 & John Wilkie) because I was determined not to line their pockets further. They rely on fear of the legal process to get people to pay up but when it actually comes to a court case they are totally inept and unable to offer any kind of coherent argument (mainly because what they are doing actually has no legal basis) I am sure that they realise they will lose in court when it gets that far but continue to this stage to demonstrate that the only way to shake them off is to go to that extreme - they know most people will not want to do this for the sake of £50 which is what they offered me to settle 2 weeks before the court date. For what its worth my advice would be don't ignore them, that plays in to their hands and they win so either wait until the offer of £50 and settle or if you feel strongly (as I did) then push on to court and use the forums to your advantage (Parking Prankster / Pepipoo / MSE) and have your day in court - On reflection the other route is to pass your case on to private parking appeals PPA and for £19 let them do battle on your behalf. So after 18 months I am feeling relieved, vindicated and more than anything angry towards MIL/Alan Davis/ The fictional Matt Murdoch/k - I am looking forward to getting my cheque from MIL though! I am happy to share my experiences if they can be of any help to anyone. 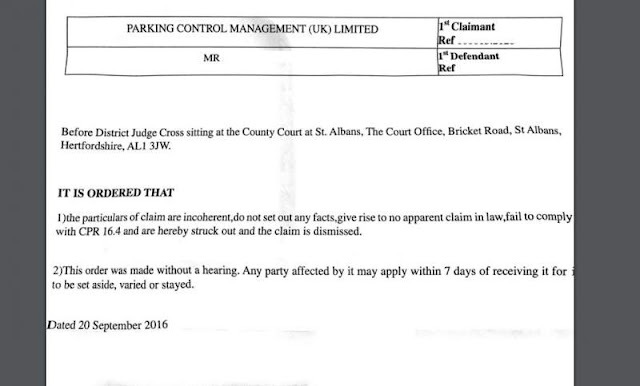 This case concerned a charge initially issued by Parking Awareness Ltd. The notice of debt assignment submitted by MIL as evidence had the defendants new address. However, the claim form was filed to the defendant's previous address. MIL and the court were not aware of the defendant's new address until he informed both MIL and the court. MIL's other letters went to the defendant's old address. MIL's own contemporaneous records showed the date the address change was recorded. It seemed therefore that the notice of debt assignment could only be a fake, as at the time it was created MIL had no knowledge of this address. The claim was duly dismissed. The defendant was awarded £95 costs. 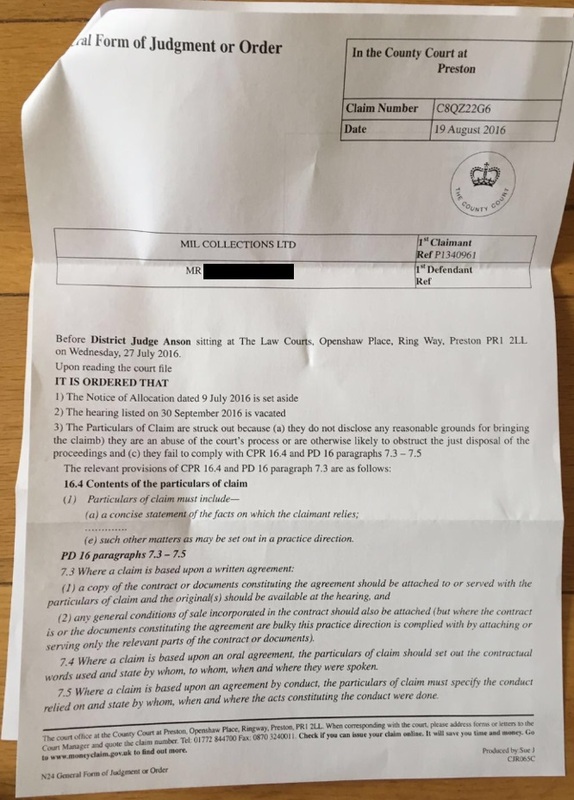 After the hearing MIL's solicitor threatened that MIL would bring the claim again with a new notice of debt assignment sent to the correct address. However this would appear to be a bluff as a claim cannot be brought twice. Only incompetent solicitors like Gladstones Solicitors are unaware of this. The solicitor also claimed that MIL had never received the defendant's defence. However Mr A was able to produce postage and email confirmation to suggest the solicitor was lying. It appears from this and previous cases that MIL signs deeds of assignment with parking companies without at the time identifying particular parking charges. Later on MIL and the parking company decide which parking charges to assign. This saves both companies the bother of continually signing deeds of assignment as parking charges pass through the system. While this is no doubt a great convenience to both compaies, this is not how deeds of assignment actually work, which is why MIL continually fail in court. Mr L has contacted The Prankster with details of his recent court hearing against MIL. His defence was prepared with the aid of HO87, and Mr Wilkie was his lay representative. On the day MIL sent a solicitor, Mr Hayes who offered to withdraw the claim prior to the hearing. Mr L accepted. It does seem rather ridiculous to pay a solicitor £200+ to turn up and withdraw a claim. Any sensible person would have withdrawn the claim mor ethan 7 days befor ethe hearing, thus also saving the £25 hearing fee. The possible explanation is that MIL were fully prepared to go on with the claim until they discovered Mr Wilkie was the lay representative. This would imply MIL are so scared of Mr Wilkie they would do anything rather than face him in court. Yet another comical Gladstones Solicitors claim has bitten the dust. 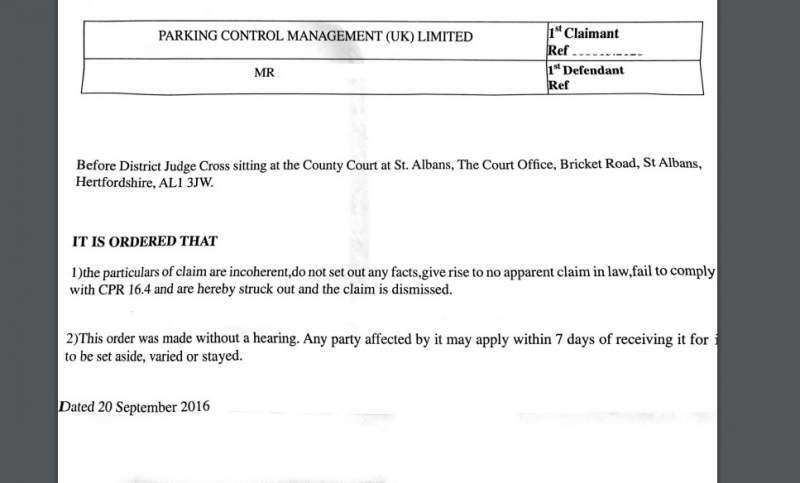 Last November a motorist received a charge from Euro Parking Services, who eventually filed a claim assisted by the amazingly unprofessional Gladstones Solicitors. The motorist's defence was that Euro didn't have a contract with the land owner when they took court action, weren't granted a license in their contract to offer parking - only enforcement, had illegally used the ICO logo on their notices and to top it off, hadn't bothered to check if the motorist was the keeper of the vehicle. Their witness the CEO, prepared a witness statement with the assistance of Gladstones which strongly refuted all claims - a contract did exist, they had checked keeper details, all their signs were present on site, they didn't use the ICO logo (despite it being on documents in their evidence pack) and that the motorist did not want to pay. Only the last part was actually true. The judge issued directions that any evidence had to be submitted 14 days in advance. The motorist 'did a Gladstones', sending in his pack in as late as possible. 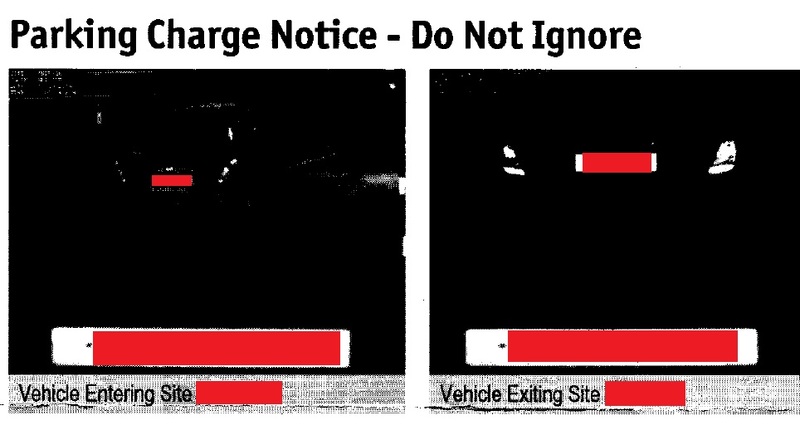 The evidence included a letter from the DVLA confirming the motorist was not the keeper; photos of the site showing no evidence of signs; an email from the land owner saying their contract was up and an email from the ICO saying they didn't have permission to use their logo. Faced with the reality of the lies Gladstones had filed, Euro caved in and discontinued the claim. The number of witness statements prepared by Gladstones which contain lies, inaccuracies, half-truths and/or deliberate misinterpretations is, in The Prankster's experience, sadly equal to the number of witness statements prepared by Gladstones. Either Gladstones are incredibly incompetent, or if the lies are deliberate, morally bankrupt. Only Will Hurley and John Davies, the directors of Gladstones, will know which is correct. Either way The Prankster consider they are not fit to be practicing solicitors because of their constant failure to abide by the Solicitor's code of practice. It is clear Gladstones have failed multiple times on these counts.